Thanks, Etsy shoppers, for my inability to sleep! I liked it, wanted one, and hoped maybe someone else would, too. Nervously I put it up for sale. About a week later someone bravely took a chance on my new shop and . . .
. . . bought one! And then the avalanche hit, mid-November. One week, the payment that went into my bank account on Monday was in the triple digits—over $100. I was ecstatic. And stunned. And overwhelmed. I needed to get cutting more wood and painting and packaging, quick! Get the kids to help—it’s their Christmas we’re buying, after all. The avalanche grew, and by the second week of December I realized something astonishing: we had earned enough to have a regular Christmas. I was both humbled and thrilled. 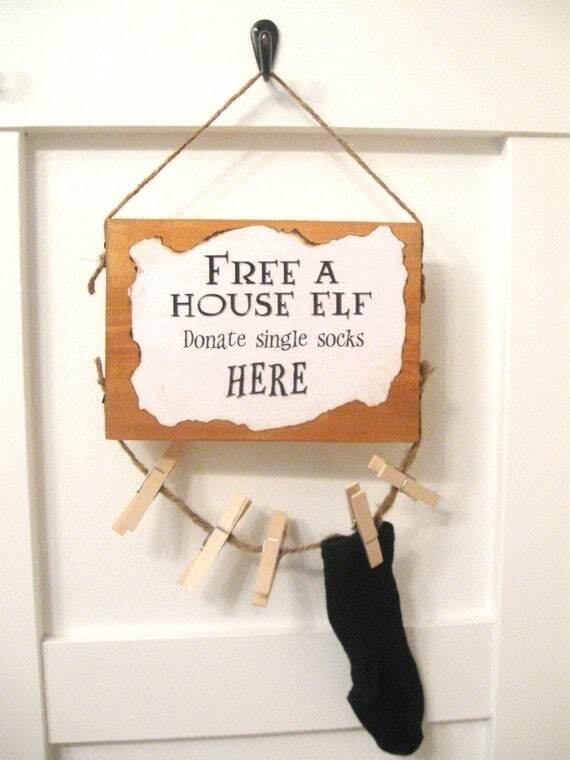 My faith in the free market system was also restored as I realized that people all over America were buying my little sock holder, and giving my family a Christmas. I hesitated. What I had made as prototypes were beautiful, but since there were out of solid wood they were heavy, bulky, and ridiculously expensive. Why would anyone want this? I mean, I loved, loved coming up with the fonts, designing the face, creating the sayings, but would anyone want it? I also made the Geek/Nerd clock for fun. For years I’d thought such a clock needed to exist, so I designed it and listed it just in case. I got an order here, another one there. But it was January, and things were normally slow. I ran into shipping problems, packaging problems, other worries, and stressed about my ability to make something consistently good enough. I almost, almost pulled the clocks from Etsy. Why was I so arrogant as to assume someone would find my tinkering worth $21? Someone was, in Australia. 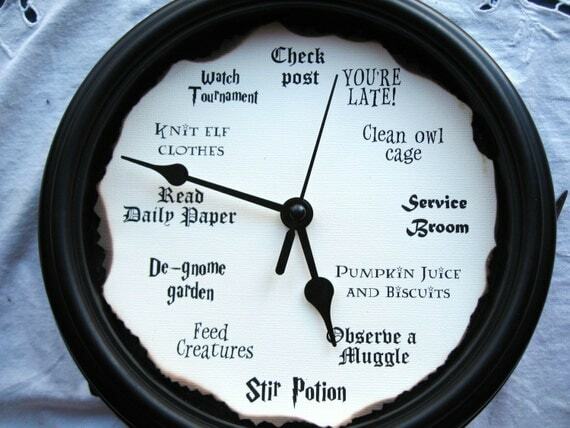 Would I ship a Harry Potter clock internationally? Uh, I guess I could . . . and I realized that international shipping wasn’t that tough. I also hadn’t understood before the power of websites like Buzzfeed and ThinkGeek and other sites that stroll around the web looking for something mildly interesting, then posting about it. Someone thought my Harry Potter clock was mildly interesting, put it on a piece about decorating with Harry Potter decor, and within one day I was sold out. An avalanche of orders and requests came, half of them internationally. Gee, people still love Harry Potter as much as we did? The next month that happened again, with my Geek/Nerd clocks. Several websites picked those up, and in one day I had over 50 requests for those clocks. And the next day, and the next. Every time I opened my email I cringed in worry about how many more requests there would be. It took me three weeks to catch up to the demand. I’d never been afraid of my email before. Overwhelmed, I stared at my Etsy stats as they reached numbers I’d never seen before. And when a weekly payments went into my bank account that month sporting four figures, I could do nothing but stare at it. The timing (ha!) was perfect. We had some major financial needs to fill, and the sales—and my working about 40 hours a week to make all of the products—filled it. 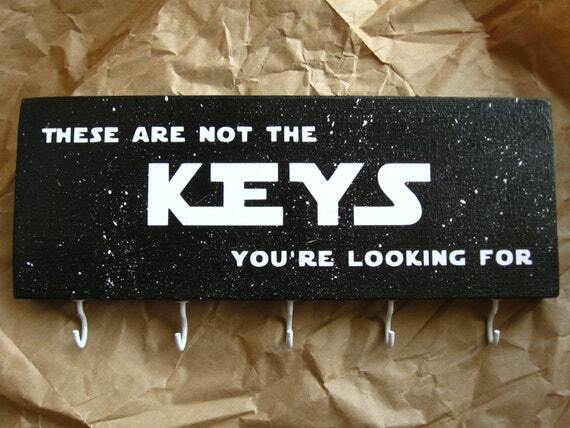 Then another website posted about my sock signs, and someone found out I made Star Wars key signs. More avalanches. By June my sales had leveled off, but I realized I could quit my part-time job and work from home, never leaving the house to earn money, but always being available for my kids. Another welcomed, wonderful miracle. Etsy buyers were consistently paying for our groceries each month. And for a family of eight, that’s a few dollars. 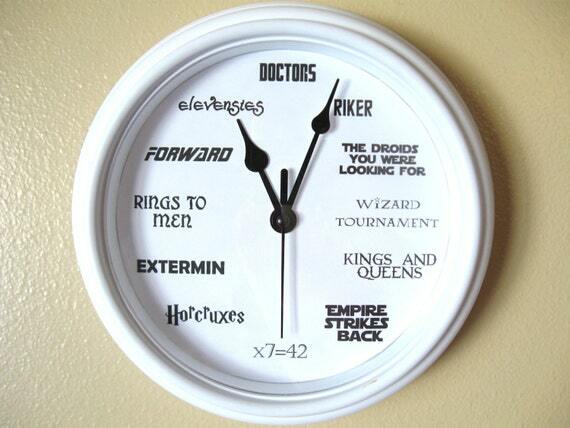 I’ve added a Disc World clock (my personal favorite), a Lord of the Rings clock, a Disney Princess activity clock, and two Star Wars clocks–Light Side and Dark Side, whatever your preference may be. Have I ever mentioned before that we’re a bit geeky at our house? Now, a little over a year since I started, I’m once again overwhelmed—happily—with orders for Christmas. There’s no time to work on my books, or keep my blog updated (except for this). Our Christmas is already paid for this year, and now we’re hoping to pay for someone else’s. This bounty is also letting me donate $1 from every DiscWorld/Terry Pratchett clock I sell to the Alzheimer’s Association, and much of our proceeds from last week and this week will be donated to help the Syrian refugees via the LDS Church’s humanitarian organization. 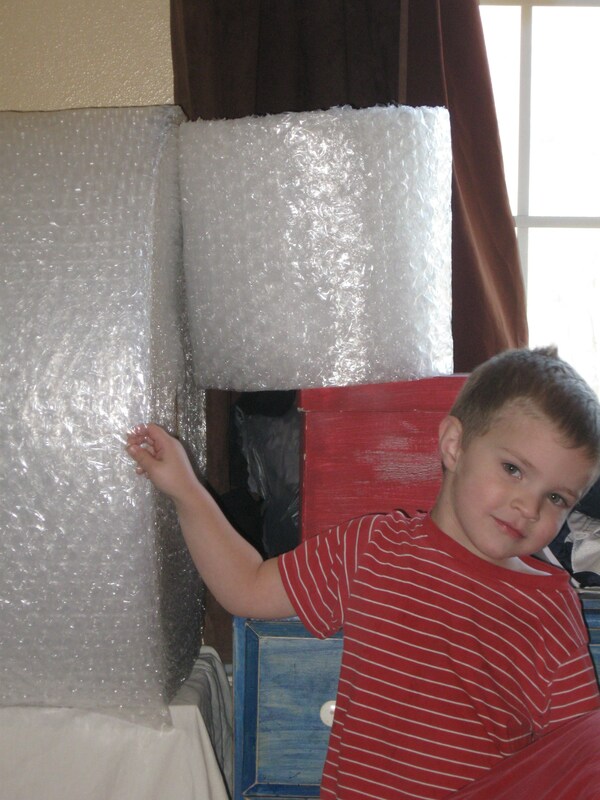 It’s tough to be three years old and see giant rolls of bubble wrap in your mom’s room, just waiting to be used. Even tougher when you sneak in her room and start popping the rolls when you think she can’t see you. Amazing how she still hears it, though . . .
A year ago, I never would have suspected I’d sell over one thousand products, a number I hit a week or so ago. I realize that for a lot of Etsy sellers that’s not a big number. But I’m not used to success. This feels huge! I’ve sold to every state in the union, and sent orders to a dozen other countries. My kids enjoy seeing the places where our little ditties fly off to. But there are some disadvantages to working from home. Try this: go to your place of work or business, get your pillow and blanket, then have a good night’s sleep there. Yeah, not too easy, is it? My storage and packaging room is also my bedroom. We have a small house and a large family, and while we’re down to only 5/6 kids (depending who’s home from college/army), every room is filled with kids, so my bedroom is also where I keep my orders chart, my shipping boxes, etc. When I lay down at night, I stare at the shelves crammed with work that needs to go out in the morning. Not the most restful. Nor can I get away from it. When you work out of the house, you can leave your job and relax at home. But even as I sit here happily typing away and “relaxing”, I see out of the corner of my eye the stack of shipping labels that will be taped to packages tomorrow, and while I never work on Sundays (I desperately need a day of rest and renewal) my job sits there, watching me, waiting for early Monday morning . . . But that’s ok—I don’t mind. I’m fine losing a bit of sleep because of success. It’s a lot tougher to lose sleep because of failures. I’ve been down that road. This one’s a lot better. Thank you for this sleepless journey! ← A thought as we enter the Christmas season . . .